Lipids Signaling, broadly defined, refers to any biological signaling event involving a lipid messenger that binds a protein target, such as a receptor, kinase or phosphatase, which in turn mediate the effects of these lipids on specific cellular responses. Normal cellular membranes have roughly equal amounts of protein and lipid. Lipid signaling is normally a response to some inner/outer stimulus leading to the release of lipids moyeties. DAG, or diacylglycerol, is a molecule consisting of two fatty acid and linked to a glycerol through ester bonds. It derives, like IP3 or inositol triphosphate, from the hydrolisis of a molecule of phosphatidylinositol-4,5-diphosphate by phospholipase C. DAG leads to the activation of Protein Kinase C (PKC) while IP3 membrane lipids promotes a release of Ca++ into the cytosol (Ca++ is necessary to properly activate PKC). Ceramides (wiki) are composed of sphingosine and a fatty acid and derive from the hydrolisis of sphingolipids. Sphingolipids have an important structural role in cell membrane but, when hydrolized by sphingomyelinase (wiki), they release ceramides in the cytosol that can act as second messengers, promoting differentiation, proliferation and apoptosis. PAF, or platelet activating factor (wiki), derives from the acetilation on the second carbon of lyso PAF, that derives from the hydrolisis of a alkylacylglycerophosphocoline by phospholipase A2. PAF is released by neutrophils, basophils, platelets, and some other cells, to induce platelets aggregation, inflammation and anaphylaxis. Arachidonic Acid is a carboxylic acid with 20-carbon chain and 4 cis double bonds in position 5,8,11,14. It derives from the hydrolisis of phospholipids (like phosphatidylethanolamine, phosphatidylcholine, phosphatidylinositides) by phospholipase A2. Arachidonic acid is the substrate for the synthesis of prostaglandins, thromboxanes and leukotrienes. Kinetic methods in unanesthetized rodents have shown that turnover rates of arachidonic acid (AA) and docosahexaenoic acid (DHA) in brain membrane phospholipids are rapid and energy consuming and that phospholipase A2 (PLA2) and acyl-CoA synthetase enzymes that regulate turnover are specific for one or the other PUFA. Thus, AA turnover in brain phospholipids was reduced, and AA-selective cytosolic cPLA2 or acyl-CoA synthetase, as well as cyclooxygenase (COX)-2, were downregulated in brains of rats given drugs effective against bipolar disorder, whereas DHA turnover and expression of DHA-selective calcium-independent iPLA2 were unchanged. Additionally, the brain AA and DHA cascades can be altered reciprocally by dietary or genetic conditions. 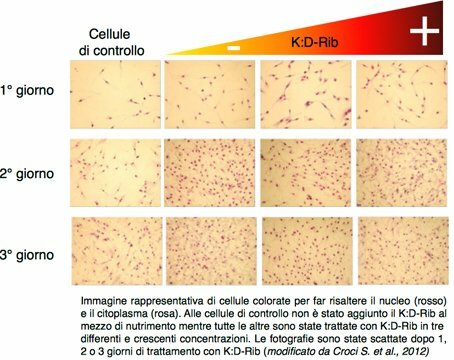 Kinetic methods in unanesthetized rodents have shown that turnover rates of arachidonic acid (AA) and docosahexaenoic acid (DHA) in brain membrane phospholipids are rapid and energy consuming and that phospholipase A2 (PLA2) and acyl-CoA synthetase enzymes that regulate turnover are specific for one or the other PUFA. Thus, AA turnover in brain phospholipids was reduced, and AA-selective cytosolic cPLA2 or acyl-CoA synthetase, as well as cyclooxygenase (COX)-2, were downregulated in brains of rats given drugs effective against bipolar disorder, whereas DHA turnover and expression of DHA-selective calcium-independent iPLA2 were unchanged. Additionally, the brain AA and DHA cascades can be altered reciprocally by dietary or genetic conditions. Thus, following 15 wk of dietary (n-3) PUFA deprivation, DHA loss from rat brain was slowed because of reduced iPLA2 and COX-1 expression, whereas AA-selective cPLA2, sPLA2, and COX-2 were upregulated, as were AA and docosapentaenoic acid concentrations. Measured rates of AA and DHA incorporation into brain represent their respective rates of metabolic consumption, because these PUFA are not synthesized de novo or converted significantly from their precursors in brain. In healthy human volunteers, positron emission tomography (PET) was used to show that the brain consumes AA and DHA at respective rates of 17.8 and 4.6 mg/d, whereas in patients with Alzheimer disease, AA consumption is elevated. In the future, PET could be used to relate human brain rates of AA and DHA consumption to liver PUFA metabolism and dietary PUFA intake. 3) a Ca2+-independent PLA2 (iPLA2) (101 kDa, Type VI) that is selective for DHA (19,20). cPLA2 colocalizes with and is coupled to COX-2 at postsynaptic sites, whereas iPLA2 is found at these sites and in astrocytes. Acyl-CoA synthetases also can be selective for AA or DHA (Characterization of recombinant long-chain rat acyl-CoA synthetase isoforms 3 and 6: identification of a novel variant of isoform 6., 2005).